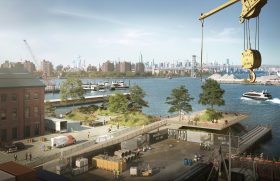 A former boat repair facility at the Brooklyn Navy Yard will get restored as a modern manufacturing space, the last adaptive reuse project at the 300-acre site. 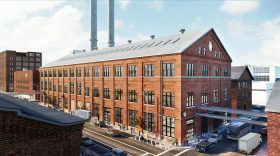 The Brooklyn Navy Yard Development Corporation (BNYDC) last month closed on $42 million in financing to restore Building 127, which was built in 1904 by the U.S. Navy for ship construction. 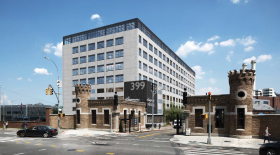 S9 Architecture is handling the “historically sensitive” gut renovation, which will bring 95,000 square feet of modern industrial space to the Yard by 2020. 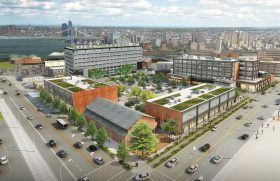 Just six months after filing permits for a nine-story mixed-use building at the Brooklyn Navy Yard, city officials and developers broke ground Wednesday on 399 Sands Street. 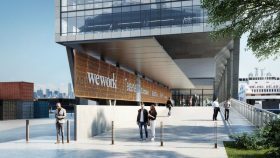 Designed by Dattner Architects, the building will feature a parking structure on four levels, four floors of manufacturing space and one floor for creative office space. 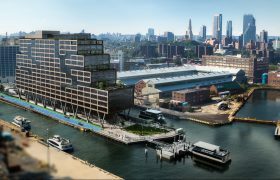 The construction of 399 Sands Street is a key part of the Navy Yard’s $1 billion expansion, overseen by Steiner Equities Group, which will add $2 million square feet. 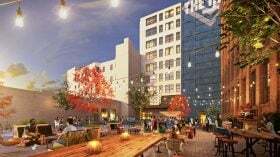 Deputy Mayor for Housing and Economic Development Alicia Glen also announced Wednesday a $40 million investment from the city to fund 230,000 square feet of leasable space above the parking area. 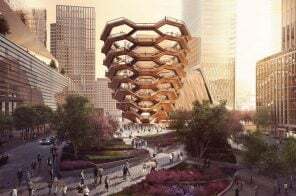 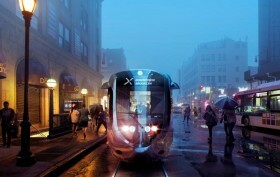 “New York City grew up around the Brooklyn Navy Yard – and thanks to the City’s $40 million New York Works investment in 399 Sands Street, the Yard will continue to fuel growth, and provide manufacturing and creative jobs for generations to come,” Glen said in a statement. 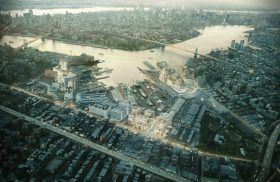 Once a shipyard where World War II warships were produced, the 300-acre Brooklyn Navy Yard is undergoing a major development to become a multi-use industrial and commercial mecca. 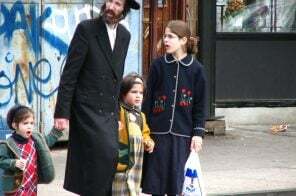 Steiner Equities Group is overseeing the area’s reinvention and as YIMBY learned, the developer has filed permits for a mixed-use building at 399 Sands Street. 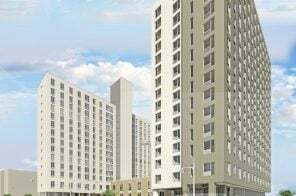 Designed by Dattner Architects, renderings reveal a nine-story building with a concrete facade and lots of greenery on its roof, as well as new views of the site as a whole and the planned Wegmans grocery store.